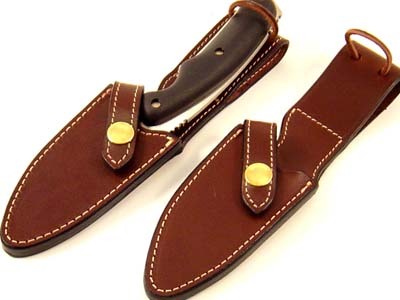 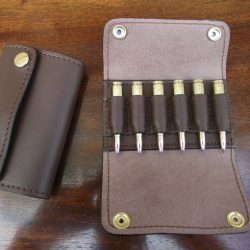 Lowland Stalkers Knife Sheath – Designed to fit the Buck ‘Alpha’ range of knives with or without the guthook feature. 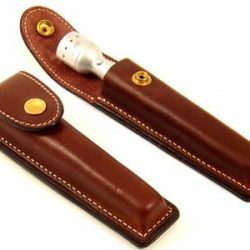 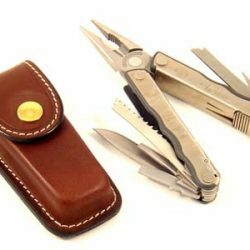 Double security feature to stop your knife from being lost – leather lace at the top for slipping over the handle when knife being used but is being sheathed in-between cuts and a second ‘flap over’ with brass press stud to secure the knife when you are moving around. 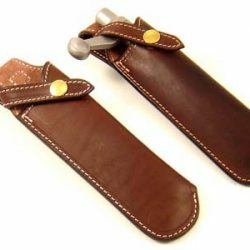 Constructed from 4mm thick leather, a 5cm wide belt loop is on the reverse.